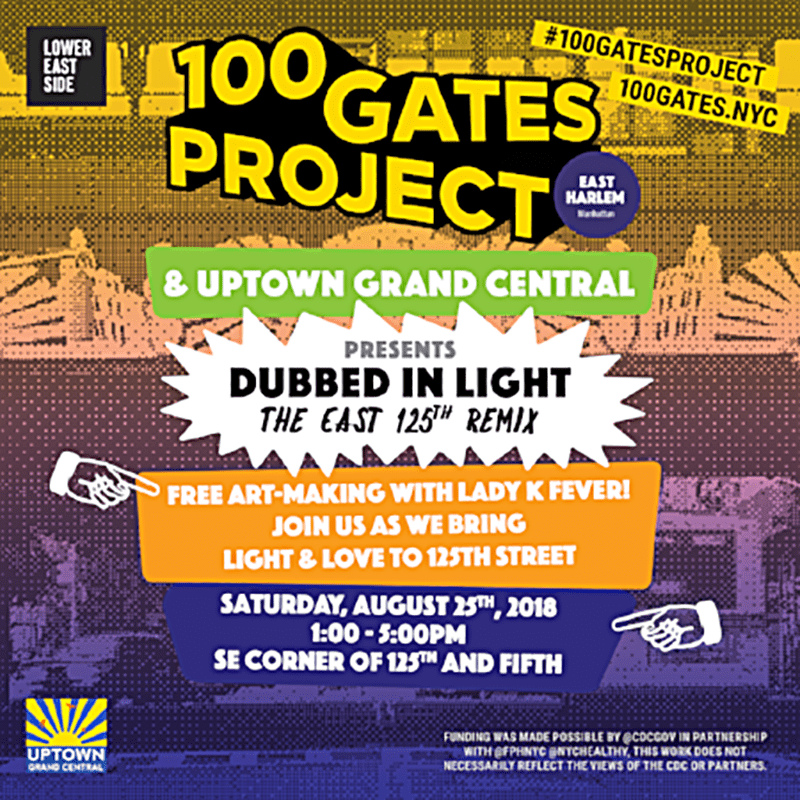 Save the Date ~ Saturday, August 25th from 1-5pm for Dubbed in Light: The East 125th Street Remix with Lady K Fever! Presented by Uptown Grand Central and the 100 Gates Project, and will be held on the south east corner of 125th Street and Fifth Avenue. On your way, stop by The Food Market at Marcus Garvey Park on the corner of 124th Street and Mount Morris Park West, just one short block away ~ and the Charlie Parker Jazz Festival at the Richard Rodgers Amphitheater in Marcus Garvey Park.